We specialize in security system upgrades. If you are thinking of upgrading your hardware or electronic security equipment, let us perform a complete system evaluation. We will provide a written report, offering creative solutions and budget information to help make informed decisions. 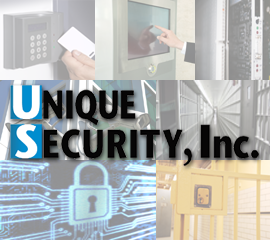 The professional staff at Unique Security will offer multiple options and the most cost effective solutions using proven products and technology. For more information or to schedule an evaluation of your facility, please Contact Us.